Sheokes Stud is one of New Zealand's premier Miniature Horse breeders. 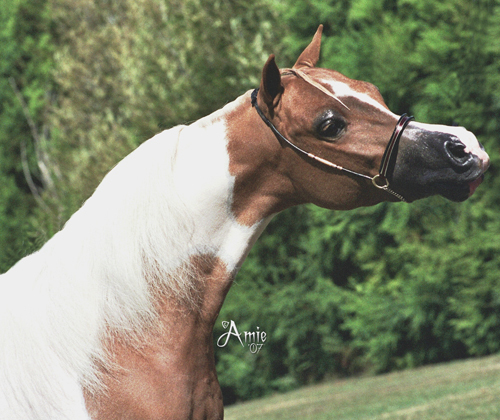 We have imported World Class American bloodlines and specialise in breeding elegant and refined American Miniature Horses with outstanding full American pedigrees. International enquiries welcome. We are sole New Zealand distributors of this photojournalistic work of art - for more info and ordering visit the Equipment for Sale page. Please sign our Guest Book page! We are proud to present our herd, in the hope that you will also appreciate our incredible stallions and lovely mares and, as a result, the magical foals that we produce. We offer a professional facility that revolves around the needs of the horses and their owners.